Pitcairn is the second planet around the star Tau Ceti, and the most Earth-like of the three planets colonized at the time of this story. There are differences: the gravity is about 25% higher than Earth's; the day is about 48 hours long and the year is about 145 Pitcairn days, vegetation is generally red rather than green, and life is at a lower evolutionary level than Earth. 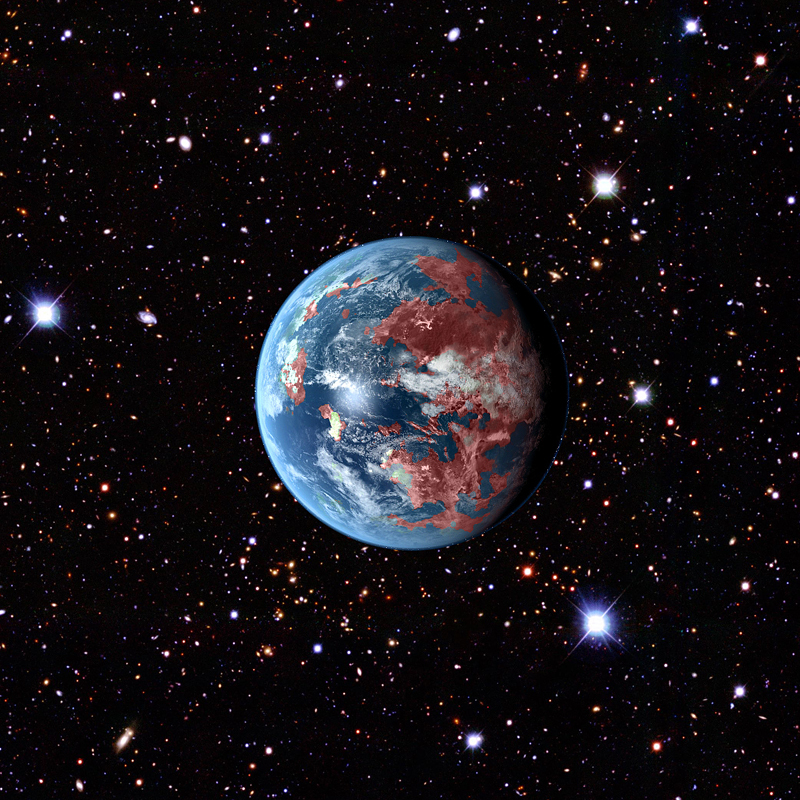 The Tau Ceti system, and therefore Pitcairn, is metal-poor compared to the solar system and Earth. Rainfall is on the heavy side, and temperatures are a little warmer than Earth. 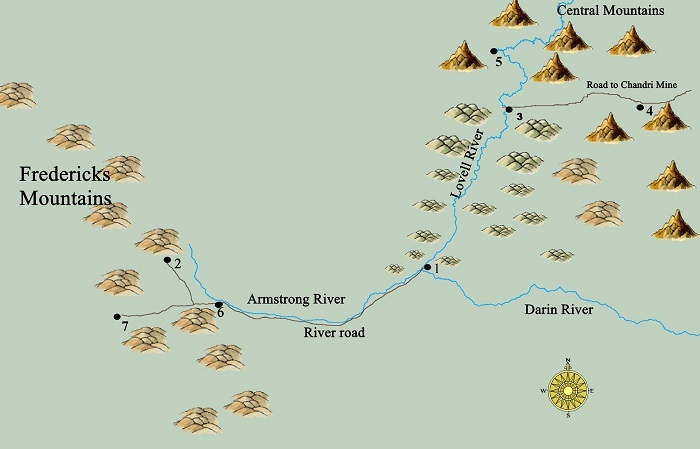 Map doesn't include short-lived settlements Lovell Station 1-3, strung along river between Grissom and Lovell Station. Tau Ceti is a real star, a little over twelve light years (about 72 trillion miles) from Earth. As much as possible, I tried to use real data about Tau Ceti in setting the scene for the Tau Ceti trilogy. For example, the Tau Ceti system really has more debris and less metal than the solar system. I did not use current speculative data about actual planets, but the fifth planet seems very close to my planet of Pitcairn. For recent information on our knowledge of the Tau Ceti system, try the link http://www.astronomy.com/news/2017/08/system-of-super-earths-discovered-around-a-nearby-star.